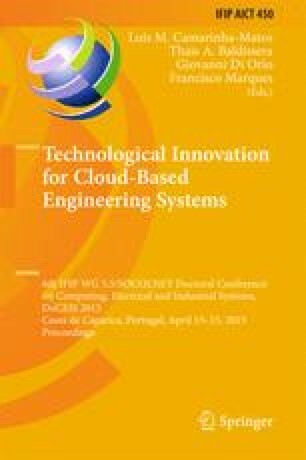 This paper presents a novel design and implementation methodology of the distributed embedded systems, called EmbedCloud. It defines structured implementation model for each module in the system. EmbedCloud forms the basis for the automatic code generation algorithm of the distributed embedded systems which accelerates and simplifies synthesis process of such systems. The EmbedCloud utilizes CloudBus protocol demonstrated in previous publications, which provides a process synchronization and control mechanism for a number of processing units distributed in a network. The CloudBus protocol allows to significant savings in the amount of transmitted data between end modules in the distributed embedded system, especially when compared with the other protocols used in the industry. To verify and evaluate the performance of the EmbedCloud, a concurrent process was described using Petri nets. Hardware tests and synthesis verification of the distributed embedded system was performed on the testing platform built with AVR, ATmega series microcontrollers. The tests confirmed the correctness of the developed source code and EmbedCloud method. Furthermore, resource requirements and reaction time analysis were performed.